Tropical Island Feast – For our feline friends, delicious sardine snack sprinkled with catnip. ($1.50). We offer Doggie Day Care! 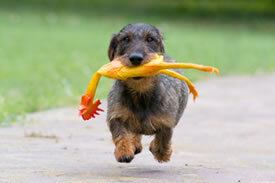 For those days when you just don’t want to leave your dog at home alone during the day, you can leave your pet with us. We offer a fun day of playing with one of us in one of our play yards and relaxing in one of our deluxe rooms. Hours for day care are 8:00 AM to 5:30 PM Monday, Tuesday, Thursday, Friday and Saturday. The cost is just $14 for the day. 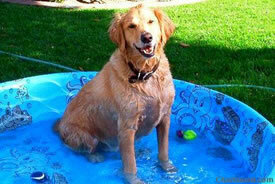 Copyright© 2005-2013 My Pet's Best Friend Pet Resort and Boutique. All rights reserved.